Web hosting is a service that allows organisations and individuals to put a website or web page onto the Internet. A web host, or web hosting service provider, is a business that provides the technologies and services needed for the website or webpage to be viewed on the Internet. You will be required to own your domain name in order to host with mickwood.com. If you do not have a domain, we can help you to purchase one. At the very least a web host should provide you sufficient disk space on the server to hold all your files, email facilities and FTP access. 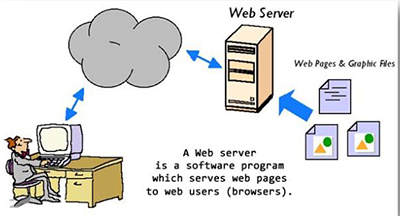 (FTP, or File Transfer Protocol, enables you to upload files from your local computer to the web server). mickwood.com offers extremely generous allowances on these key issues. mickwood.com offers a variety of Web hosting plans and each plan is packed full of features. You can compare the different hosting plans but our most popular plans are the Starter and the CMS Starter plans. These plans are especially suited for those individuals / organisations wishing to establish their first internet presence. If there is a specific feature, or you have a specific hosting need which you would like to see, just email mick@mickwood.com and let us know.